Why Visit Siam and Ratchaprasong? The Siam/Ratchaprasong area is Bangkok’s commercial and transportation hub. The BTS station at Siam serves as the interchange for Bangkok’s Skytrain, making Siam a fantastic place to stay if you’re interested in easily travelling around the city. Siam Paragon is one of Bangkok’s biggest and most popular shopping malls, located next to BTS Siam. The lower floors contain a mix of luxury brands, while the upper floors cover high street fashion, furniture, technology and even include a luxury car dealership. Siam Centre is a fashion-focused shopping mall aimed primarily at teens and 20-somethings that’s located beside Siam Paragon. Siam Discovery, which is connected to Siam Centre by skybridge, offers a mix of lifestyle products, technology and high street fashion. The MBK Centre is an eight-floor shopping mall located diagonally opposite Siam Discovery and connected to BTS National Stadium. Home to hundreds of tiny shops specialising in all things digital and fashionable, it’s the best place in Bangkok to shop for smartphones. American silk entrepreneur Jim Thompson disappeared in the Malaysian jungle in 1967 — a disappearance that continues to attract conspiracy theorists. His traditional Thai home, which was built in 1959, is open to the public and offers a unique look into traditional Thai design. From local fashion designers to vintage movie posters, Siam Square is home to hundreds of tiny shops specialising in every product imaginable. Located beside BTS Siam and opposite Siam Paragon, Siam Square is a great place to shop for modern fashion and accessories. Step into the 1960s at Siam Square’s Scala Cinema. Built in 1967 and maintained to look just like it did when it first opened, Scala Cinema is a time capsule back to the cinema experience of the mid-20th century, right down to the chandelier and bow tie wearing ticket attendant. For a more modern — albeit less architecturally inspiring — cinema experience, head to the top floor of Siam Paragon, where you’ll find the Krungsri IMAX Cinema. Both IMAX and standard cinemas, including a 34-seat private Enigma cinema, play the latest blockbusters. Opposite Siam Discovery, and accessible via skybridge, you’ll find Bangkok Art and Culture Centre. Free to access, the centre showcases a variety of exhibits, with a focus on modern visual art. SEA LIFE Bangkok Ocean World is Thailand’s largest aquarium. Visitors can view a massive variety of marine animals up close, as well as a variety of snakes, insects and more. 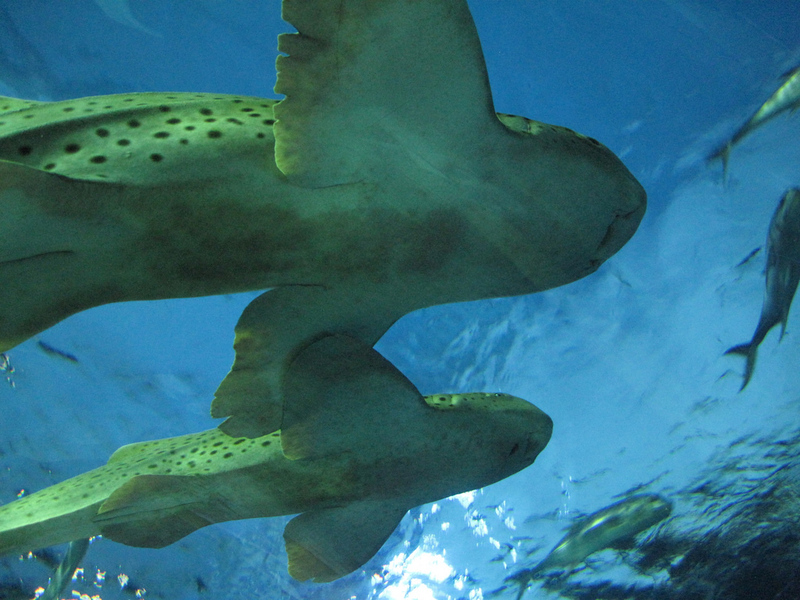 A range of diving packages are available, letting you swim inside the aquarium’s shark tank. Located between Siam Paragon and Central World — two of Bangkok’s largest shopping malls — Wat Pathum Wanaram is a nice break from the endless shopping in Ratchaprasong. Built in 1857, the temple is home to the ashes of Prince Mahidol Adulyadej’s bloodline. Bangkok’s largest mall, Central World, is located at the heart of Ratchaprasong. Accessible from BTS Chit Lom via an elevated skywalk, Central World is home to designer brands, high street fashion, home accessories, furniture, technology, children’s toys and more. The Erawan Shrine is a Hindu shrine located beside the Grand Hyatt Erawan Hotel. A shrine to Phra Phrom — the Thai version of Hindu god Brahma — it attracts thousands of visitors per day, many of whom pray to the statue in the hope of receiving good fortune. Feeling tired from all the shopping? The Ratchaprasong area is full of health spas, many of which are located inside five-star hotels. For a more affordable Thai massage, stop by Let’s Relax, a comfortable spa located on the sixth floor of the Siam Square One shopping mall. The Royal Bangkok Sports Club is a private, members-only sports club located between Siam and Silom. Although access to the club’s sporting facilities is reserved for members, live horse races are held one Sunday every month. Siam Paragon is home to one of Bangkok’s biggest and most diverse food courts, serving up a mix of cuisines from Thailand, India, China and elsewhere. Meals are paid for with a stored value card — fund yours at the cashier before you eat, then refund it as you leave. A favourite of Chulalongkorn University students, Hong Kong Noodle in Siam Square serves inexpensive and tasty Chinese dishes. Visit during the early afternoon and you’ll dine with the invariably large crowd of students from the nearby university. Another student (and local worker) favourite, Som Tam Nua specialises in Isaan (Northeast Thai) food. Try the som tam (stick with som tam Thai if you’re not accustomed to spicy food) and the fried chicken for an authentic experience. Nooddi has two branches in Bangkok — one underneath BTS Sala Daeng and another here in Siam Square. As the name suggests, the menu is focused on Thai and Chinese-style noodle dishes, although there’s also a mix of other Thai dishes to choose from. Located on Siam Square Soi 8 in a shophouse modified to resemble a traditional Thai home, Ban Khun Mae serves classic Thai dishes at reasonable prices. Its location in Siam Square attracts a mix of local office workers and shoppers seeking a tasty but affordable meal. Coca is a Thai sukiyaki chain with multiple locations throughout Bangkok. The Siam Square branch, which is located on Henri Dunant road near the Novotel Siam, offers tasty sukiyaki with a variety of dipping sauces. Miyatake is an authentic Japanese sushi bar located on the fourth floor of Tokyu department store inside the MBK Centre. Although the location isn’t the most peaceful, the food is great, with everything from toro sushi to Matsuzaka beef on offer at reasonable prices. Crepes & Co is located on Langsuan Soi 1 — one of Bangkok’s poshest addresses. Although it specialises in crepes — which, by the way, are outstanding — the menu includes a variety of lunch and brunch dishes. Also located on Langsuan, Gaggan serves a progressive Indian menu that will redefine what you think of Indian food. The set menu starts from 1,800 baht and is extremely popular, so it’s recommended that you book ahead of time. 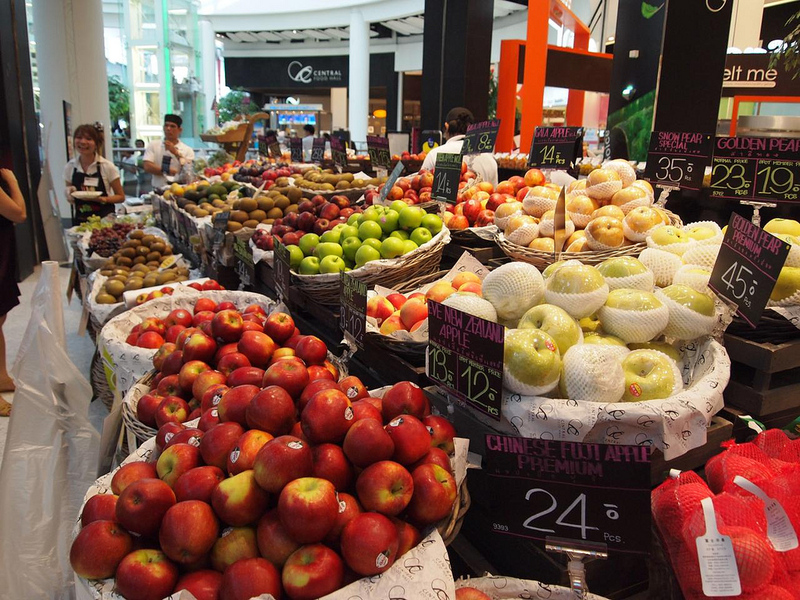 Central Chidlom is one of Bangkok’s most popular department stores, and Food Loft — its top floor food court — is undoubtedly one of its best assets. Enjoy great international food, with a variety of dishes from China, Japan, Mexico, India, Italy and more — with fantastic views. Open from 5:30 pm until late, ZENSE offers outdoor dining on the rooftop of ZEN — Central World’s most popular department store. Four different menus are available, each offering a different variety of dishes from Italy, Turkey, Thailand and elsewhere. These two restaurants, located next door to each other, are great options for lunch. El Osito serves fantastic sandwiches and burgers, while La Monita Taqueria serves Mexican classics like burritos, fajitas and tacos. Located in the basement of the Intercontinental Hotel, Bawarchi serves fantastic Indian food in a stylish setting. Plentiful portions, authentic Indian ingredients and a convenient location make it a great choice for lunch or dinner. Located on the ground floor of Athenee Residence on Soi Ruamrudee, Hyde and Seek is a stylish gastro bar offering great food and fantastic drinks. The menu is made up of American and European favourites, from steak and ribs to a variety of pasta dishes. Located on Langsuan Soi 7, Eat Meat Sweet can be a little bit difficult to find. Its menu, which is made up of Australian beef, lobster ravioli, roasted chicken and other classics — as well as a great selection of desserts — makes it worth a visit. Located on the 25th floor of the ultra-modern Okura Prestige Hotel, Elements serves a range of delicious dishes in an open kitchen environment. Gourmet food and a fantastic drinks list are complemented by fantastic views of Bangkok, especially from the outside tables. The Centara Grand Hotel on top of Central World is home to several good restaurants, but the standout is Red Sky which offers rooftop dining with an amazing view of the city. You’ll find Sra Bua by Kiin Kiin inside the Kempinski Hotel. This Thai fusion restaurant offer an 11 course tasting menu showcasing the best of gourmet Thai cuisine, as well as an excellent range of desserts. Arguably Bangkok’s most luxurious hotel, Siam Kempinski Bangkok offers a range of luxury rooms, from doubles to the four-person Royal Suite, with a convenient location behind Siam Paragon shopping centre. Located on top of Central World, Centara Grand at CentralWorld is a modern luxury hotel with a stunning outdoor swimming pool. 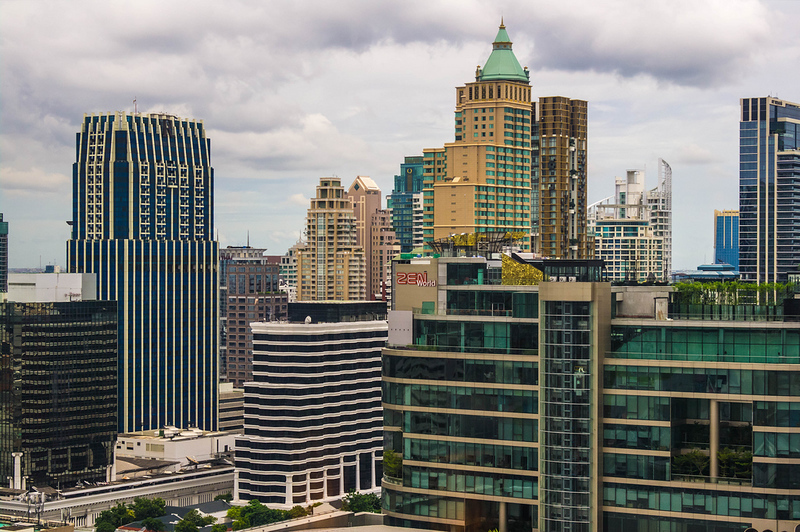 Thanks to its connection to BTS Chit Lom, Centara Grand at CentralWorld is conveniently located for getting around Bangkok. 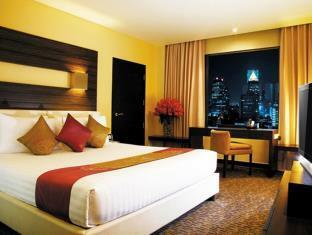 Pathumwan Princess Hotel is located atop the MBK Centre. It offers a selection of five-star rooms and suites, as well as the Olympic Club — one of Bangkok’s top fitness centres with a fantastic saltwater swimming pool. A stylish four-star hotel located close to BTS National Stadium and within walking distance of Jim Thompson’s House, Siam @ Siam Design Hotel offers modern rooms and suites with an excellent rooftop bar. Located less than two minutes from BTS Chit Lom, Renaissance Bangkok Ratchaprasong is right in the middle of Bangkok’s shopping epicentre. The Renaissance includes an indoor and outdoor swimming pool and exclusive fitness club and health spa. The Okura Prestige Bangkok offers modern Japanese design, luxurious and spacious rooms and an infinity pool with one of Bangkok’s most impressive views. The hotel is connected by a skybridge to BTS Ploen Chit, making it easy to get around Bangkok using the BTS Skytrain. Located to the north of Siam in Ratchathewi, the VIE Hotel is a brief walk or BTS journey from Bangkok’s top shopping destinations. 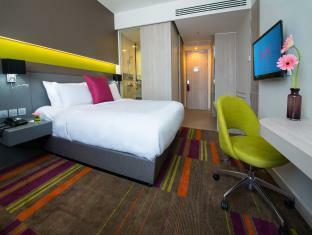 VIE Hotel includes a variety of luxury rooms and suites in a modern style and a convenient location close to BTS Ratchathewi. 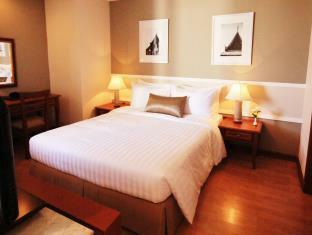 A beautiful classic hotel on Phayathai Road, the Hua Chang Heritage Hotel blends colonial style with modern comforts. 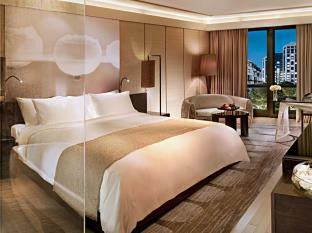 This five-star hotel features a range of rooms and suites with a stunning garden courtyard and outdoor pool. 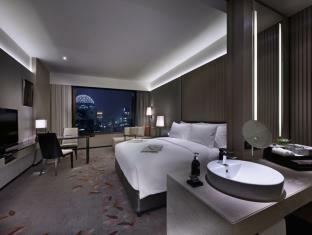 Connected to BTS Chit Lom by skybridge and less than one minute away from Central World and Gaysorn, the Intercontinental Bangkok is one of the most conveniently located five-star hotels in Ratchaprasong. The top-floor fitness centre offers excellent views of Bangkok. Thai boutique hotel Hansar Bangkok offers some of the most stunning suites in the city and a convenient location near BTS Ratchadamri. A short distance from Ratchaprasong’s shopping malls and restaurants, this stylish hotel is ideal for travellers seeking comfort and luxury. One of Bangkok’s most luxurious hotels (all of its rooms are suites), the St. Regis offers an incredible view of the Royal Bangkok Sports Club. A short walk from BTS Ratchadamri, the St. Regis is conveniently located and ideal for exploring both Ratchaprasong and Silom. Located right in the centre of Siam Square, the Novotel Bangkok on Siam Square offers one of the best locations in the city for shopaholics. 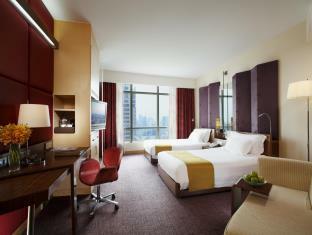 Comfortable, modern rooms and easy access to BTS Siam make this one of the most conveniently located hotels in Bangkok. The Mercure Bangkok Siam is located beside BTS National Stadium, making it an excellent choice for travellers looking to explore Bangkok. As well as its fantastic location, this four-star hotel boasts a stunning outdoor swimming pool and a modern fitness centre. Evergreen Place Bangkok is a modern, conveniently located four-star hotel within two minutes walking distance of BTS Ratchathewi. With an outdoor pool and poolside gazebos, it’s a great place to relax during shopping sessions at nearby Siam Paragon and Central World. Located on Soi Kasemsan 1, a short walk from the MBK Centre and Jim Thompson’s House, LiT Bangkok Residence is a stylish four-star hotel. With modern rooms and a large outdoor swimming pool, it’s a comfortable and conveniently located place to stay in Bangkok. Monomer Hostel is located on Phetchaburi Soi 16, a short distance from the Ratchaprasong area by taxi. Although its location isn’t ideal, its clean and comfortable dormitories and rooms make it a good choice for budget travellers. 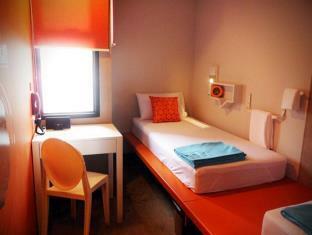 Lub d Bangkok Siam Square is a clean, comfortable and stylish hostel located just minutes from BTS National Stadium. Double, twin and dormitory rooms are available at affordable prices, making it a good option for backpackers looking to make friends and socialise. Located on Rama I Rd, a short walk from BTS National Stadium and the MBK Centre, Wendy House is a small, comfortable guesthouse. Rooms are simple and minimalistic, but the great pricing and free Wi-Fi makes this guesthouse a great value choice. Bangkok’s Hard Rock Café is located right in the centre of Siam Square, making it a great choice for post-shopping food and drinks. The menu includes the Hard Rock Café’s classic burgers, while the drinks list includes a variety of local and imported beers and cocktails. Located in the basement of the Novotel Siam, CM2 Live Jam is a live music bar and nightclub hidden underneath one of the Siam area’s most popular hotels. The soundtrack is mostly pop and classic rock, while the drinks range from local beers to classic cocktails. The Speakeasy is a stylish rooftop bar located inside Hotel Muse on Soi Langsuan. Themed on a classic 1920s American bar, it offers an extensive drinks list, cigar lounge and fantastic views of the Bangkok skyline. Located on the rooftop of the Centara Grand Hotel, Red Sky offers panoramic views of the Sukhumvit and Silom skylines and a variety of cocktails, beers and wines. 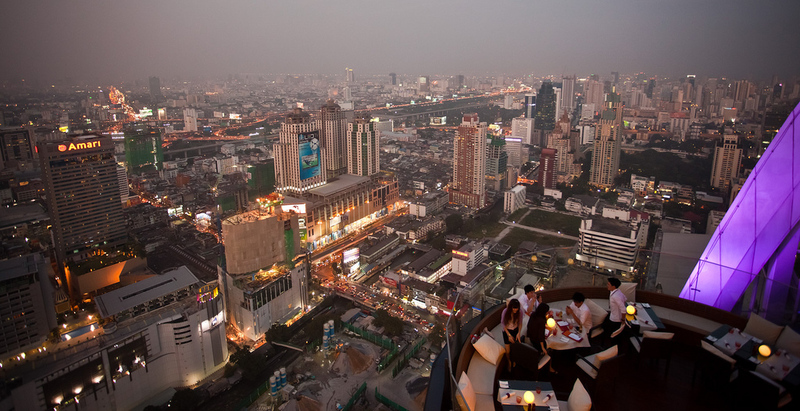 While prices are beyond what you’d pay at most Bangkok nightclubs, the view is certainly worth it. 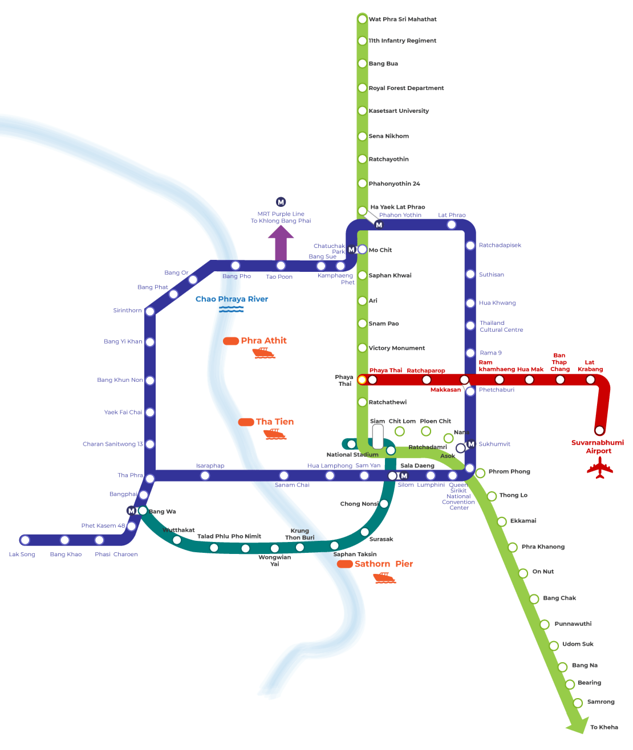 Siam is serviced by several BTS Skytrain stations. BTS Siam – the main interchange station for the Sukhumvit and Silom lines – is located outside Siam Paragon. BTS Phloen Chit and Chit Lom are located in Ratchaprasong, while BTS National Stadium is opposite the MBK Centre. Ratchaprasong is accessible by the Saen Saep Express Boat, although many of the piers are a short walk from its main shopping malls. Disembark at Pratunam or Chit Lom pier and you’ll be able to reach Central World or Siam Paragon within 10 minutes.